Chelsea are considering the option of triggering the buy-back clause in the contract of Bournemouth centre-back Nathan Ake, should they manage to overcome their transfer ban. 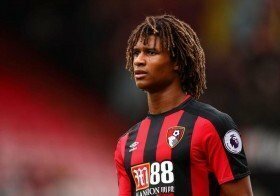 Ake joined the Cherries from the Blues on a permanent basis for £20m two years ago and he has since evolved into an influential player at the heart of the Cherries backline. According to De Telegraaf, the Dutchman's form has caught the attention of several top Premier League sides and this has alerted the Blues' hierarchy ahead of the summer. At present, the west London side have a £39m buy-back clause which can be activated on the Dutchman's contract, but the club's chances of doing so depend on whether they can win over their two-window transfer ban. The Blues have already witnessed FIFA refuse to suspend the embargo irrespective of their appeal, but the club still have the opportunity to delay the ban by taking their case to the Court of Arbitration for Sport. Still, that would depend on how quickly FIFA respond to the Blues appeal and based on this, the Capital outfit could sort out their plans for the summer transfer window.